Earlier this month, I was fortunate enough to have a most excellent chat with the hosts of Speculate! The Podcast for Readers, Writers and Fans. And now you can listen to said conversation online or via your favorite podcast download app…thing. Whatever. You should listen. I joined fellow scribes Mike Underwood and Greg Wilson for a freewheeling 50-plus minutes of writerly goodness. We talked about MJ-12: Inception and the Daedalus trilogy, of course, then delved deep into research and worldbuilding in historical fantasy, and how I did what I did on those books. We also talked about my former life as a full-time journalist and how that enters into my fiction. And we talked about the election, because it was the day before election day. Ah, we were so naive. Alas. I’ve known Mike for years now, and consider him one of the good guys, and I very much enjoyed chatting with Greg as well. 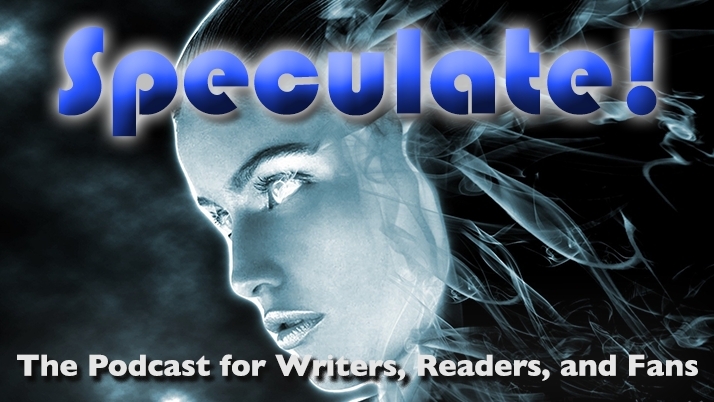 I would encourage you to check out Mike’s blog and Greg’s blog to learn more about their books, and definitely check out the rest of Speculate!’s excellent podcasts. They also have a Patreon, so if you wanna slip ’em a few bucks, I hereby grant you extra karma points for that. My thanks to Mike and Greg for a great conversation. Hope you folks enjoy.